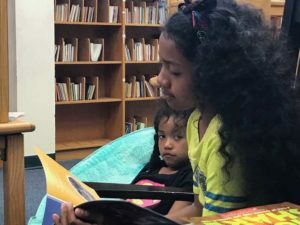 Fifth-grader Gabby Salinas held the room captive from her black rocking chair, reading The Lion’s Share aloud in the library at Western Hills Elementary. A simple tale of misplaced generosity and multiplication is so much more than just sharing a story and colorful illustrations. Gabby’s confidence shines through as she explains the book’s meaning and a discussion breaks out with the other kids taking part in the Clayton Youth Enrichment program. Clayton Youth Enrichment was originally formed in 1975 as Clayton After School to keep the doors open to Lily B. Clayton Elementary School by providing before and after school care for the children of health care professionals who worked in the nearby hospital district. Clayton Youth Enrichment currently serves about 7,000 children each year in more than 80 school sites and other program locations. It’s the largest non-profit afterschool and childcare provider in the greater Fort Worth area. Clayton is one of eight partner agencies participating in the 2018 Summer Scholars Cohort. “The Read Fort Worth partnership has benefited Clayton in a few ways,” Clayton Director of Programs Robert Hamilton said. “First, the networking with other community providers is helpful to share ideas and resources. 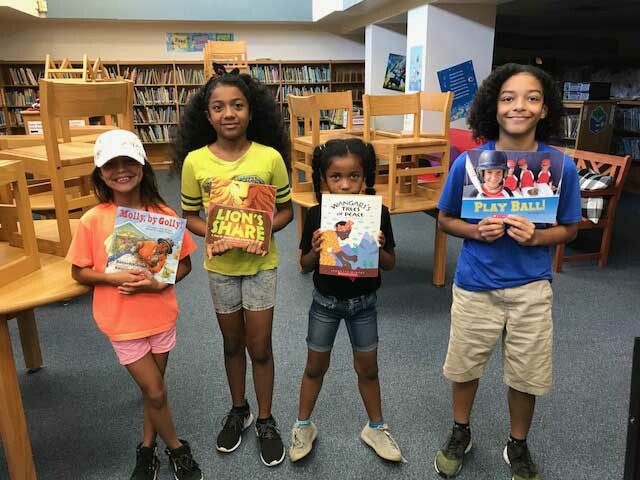 Secondly, the Summer Scholars Cohort initiative has allowed our site coordinators to stay focused on literacy and academic gains in addition to traditional recreational development. Western Hills serviced 35 children ages 7-11 from June 5 – July 12, each weekday from 9 a.m. – 3 p.m. The kids received meals, participated in classes and took field trips at no cost to their families. The collaborative learning environment included lessons on the solar system and the earth’s ecosystem, along with computer-based research, math games and active reading programs. Above all, reading takes center stage. The ability to read and comprehend provides the basis for learning in all disciplines. 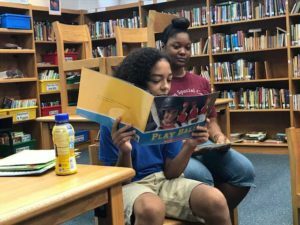 “I like when they read to each other instead of a teacher because they feel more confident instead of getting nervous when they mess up,” Williams said. “If it’s to another child, it’s OK. They correct each other positively. It’s more interactive rather than me reading a book to them or them reading a book to me. Clayton receives collective results from the IOWA assessment to measure the impact its summer programs have on the traditional “summer slide.” In addition to this testing, Clayton’s 21st Century programs also share student academic data with FWISD and separately conduct DESSA assessments to gauge social-emotional learning in grades 3-5. “Being present on school campuses is a major benefit, but we acknowledge that half-day programming and lack of bussing can pose a barrier to student participation during the summer months,” Hamilton said. The built-in challenges for schools such as Western Hills are profound. The economic and social realities many children face in the Las Vegas Trail area of Fort Worth make attendance to programs such as Clayton at Western Hills difficult. Clayton’s commitment to good service for its campers includes meals throughout the day, academic enrichment, friendship and a sense a community. The program places zero financial burdens on its families, with all costs covered by Clayton to keep camp participation free to students. Clayton has been serving youth during the out-of-school time since 1975. Our mission is to serve communities of North Texas by providing quality programs that foster the emotional, social, and educational development of children, youth, and families. Our vision and the end goal is to prepare all children for a great life. For more information on our impact, or how you can contribute to the cause, visit www.claytonyouth.org.